Boko Haram problem in Nigeria recent attacks current topic. 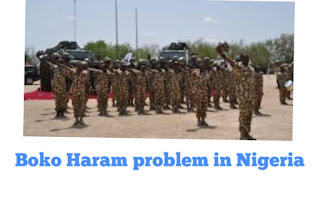 HomeCurrent TopicsBoko Haram problem in Nigeria recent attacks current topic. Boko Haram problem Nigeria. It is current topic recent attacks in Nigeria by Boko Haram will may be adverse impact on. 2019 election if steps are not taken. If we talk about this current topic on Boko Haram in Nigeria. Boko Haram has presence in Nigeria.In 2015 Nigerian president said technically Boko Haram end but in 2018 election time Boko Haram attacked on military of Nigeria and neighbouring country to strengthen Boko Haram. In Africa specially in Nigeria , Chad, Niger, Cameroon. In diagonal language Boko Haram’s meaning is western education is forbidden. This group also calls itself as Jama’atul Ahlis Sunna Lidda awati Wal-Jihad it’s meaning is people are commitlted to expand the teaching of Prophet’s and Jihad. Boko Haram has major influence in the northern states of Nigeria prominently Borno, Bouchi, Kano, Yobe and Kaduna. At the beginning Boko Haram was referred as Nigerian Taliban because of it’s similarities with Taliban. It was founded by Mohammad Yusuf in 2002 in July 2009 at the time of Booking Haram uprising Mohammad Yusuf was captured by the Nigerian Police. He was publically executed outside of Police Headquarter in Maiduguri. People protested against such punishment. Initially police officials claimed that the Mohammad Yusuf was shot while trying to escape. After his death the Boko Haram terrorist organization is actively runned by Abu Akbar Shekau since 2009 in the north-eastern area of Nigeria and gradually it’s influence spread to neighbouring country like Cameroon, Chad and Niger. More than 27000 people are killed in Niger alone over the past 10 years. It is estimated that violence has forced out over 1.8 million people from their home. Boko Haram strongly rejects western education and strongly advocator of Sharia law. Obviously, Abu Shekau has not accepted such move and continues with his militant loyals under the groups, previous name Jama’atul Ahlis Sunna Lidda awati Wal-Jihad (JAS). The group of Abu Shekau is notorious for using suicide bombers to attack civilian and military targets. Here Iranian ISIS group. was trying to bring all terrorist group under it’s umbrella and Abu Shekau is not happy with that to accept presence of ISIS on Boko Haram. Nigerian president Buhari is being criticised of having termed Boko Haram as a technically defeated outfit. He is also accused for giving poor training and inappropriate weapons to army resulting in massive casualties. Accusations are also that president is purposely doing this so that military could be discredited to avoid any possible coup d’etat. In the history of Nigeria in last 50 years, Nigerian country has been ruled by army generals for 40 years. Boko Haram, one of the most notorious organization in the world, has kept it’s attention on terror activities in Lake Chad region and north-eastern Nigeria region. From July 2018 there have more than 20 military attacks of Boko Haram in Nigeria. Boko Haram is much more resilient than what Nigerian Authority had anticipated. If such situation goes on then it’s advrse impact will be on 2019 polls in Borno, Yobe and Andamova. These area are so vulnerable and volatile to the Boko Haram militant. Nigeria should adopt long term statergy to defeat Boko Haram as the current situation looks like next step will be on 2019 election. 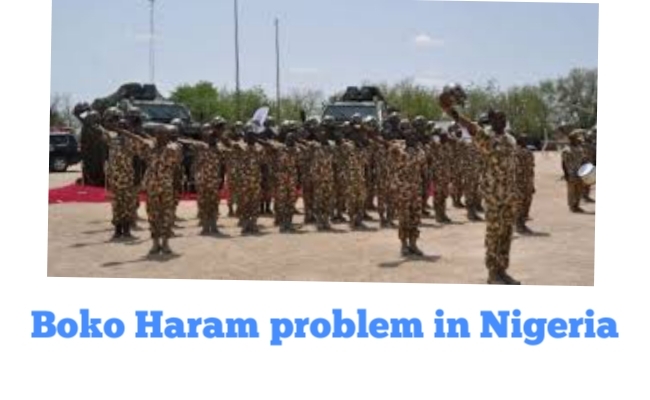 We hope you have understood, how Boko Haram a Problem for Nigeria? Corruption,Scam,Mass Coppy in exam conducting body. Who is Avi Dandiya and why is he in news? Experience of Blogging money Earning and Future Scope. Loksabha Election 2019 Maharaashtra seats inclination analysis.